China’s Flight Inspection Center (CFIC), part of CAAC, signed an agreement yesterday with Textron Aviation’s joint venture with Avic for eight new Cessna Citation XLS+ business jets. 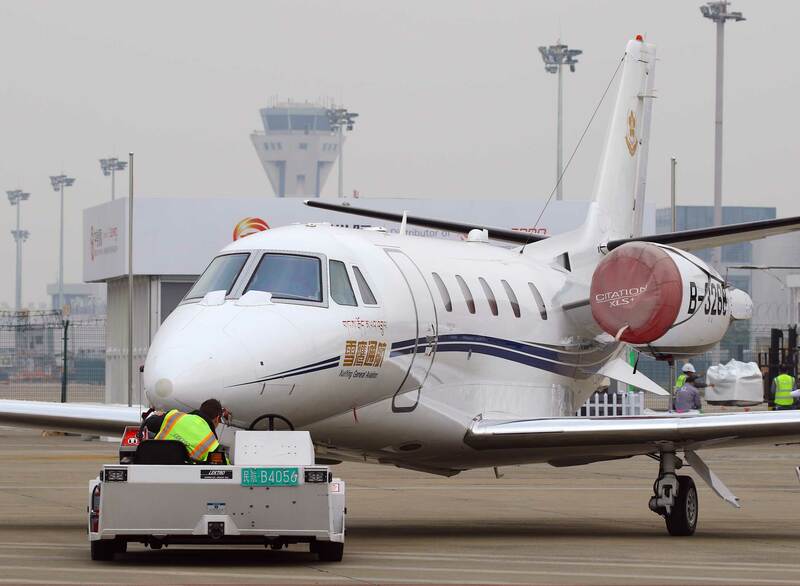 Delivery of CFIC’s eight XLS+ jets, ordered from Cessna-Avic Aircraft (Zhuhai) Co., will take place between 2019 and 2021. The CFIC will fly the new jets, which will be fitted with additional special equipment, along with its existing fleet of Citation 560XLs on flight inspection duty. This includes “inspection and certification missions for the communication, navigation, radar, and flight programs of newly built airports, as well as to perform regular flight inspection missions for airports already in operation,” according to Textron Aviation (Chalet 1, SD 1). The expansion of the CFIC fleet comes as China implements its Thirteenth Five-Year Plan for the Development of China Civil Aviation, which was issued by the CAAC, the National Development and Reform Commission, and the Ministry of Transport. The plan includes beginning work on 44 new commercial airports plus construction of 200 general aviation airports, expanding 139 airports, relocating 19 airports, and 51 other projects “to accelerate the construction of airports and lay the foundation for sustainable development of civil aviation.” Operators of civil airports are encouraged to add general aviation services to their menu of offerings. The Citation XLS+ can fly 2,100 nm and up to 441 knots, has a takeoff roll of as little as 3,560 feet, and is certified to take off and land at high-altitude airports with elevations of up to 15,000 feet. “The successful purchase of these aircraft is only possible with the great support for flight inspection operations from the Party Group of Civil Aviation Administration of China, which is significant to the fleet construction of CFIC and ensuring civil aviation transportation safety,” said CFIC director Xiong Jie.